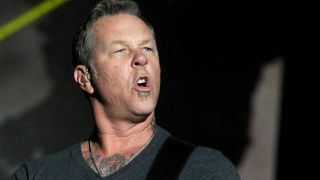 An online campaign has been launched to have Metallica removed from the Glastonbury festival bill because of frontman James Hetfield's interest in hunting. He’s described himself as a “keen huntsman” and enjoys travelling round the world to take part in shooting expeditions – and angry anti-hunt campaigners believe that means he shouldn’t be associated with the Worthy Farm event. But some people feel the musician’s involvement in the show means his band shouldn’t perform at Glastonbury. The campaign admin says: “I doubt very much that James Hetfield is the first high-profile big-game hunter to grace the stages – I’m sure there have been many. “I do however doubt that any of them have had a prime time History show promoting his view that hunting is a good thing to do, on at the same time. This double-exposure gives his views extra publicity and acceptability, and this is where we can have an effect.